The anchor chart is part of our morning message. The students are beginning to understand some concepts of print. Each morning I omit random letters. I use letter sounds and the students have to tell me the letter name. This week I started talking about upper and lowercase letters and when to use them. The students also had to use picture clues to determine what the question was. Directions: Two ways to print have been included. The anchor chart’s original size of 20”x 24” if you have access to a large format printer. Second, is tiled on 8.5”x 11”. Simply print, trim along cut lines, and assemble to 20”x 24”. 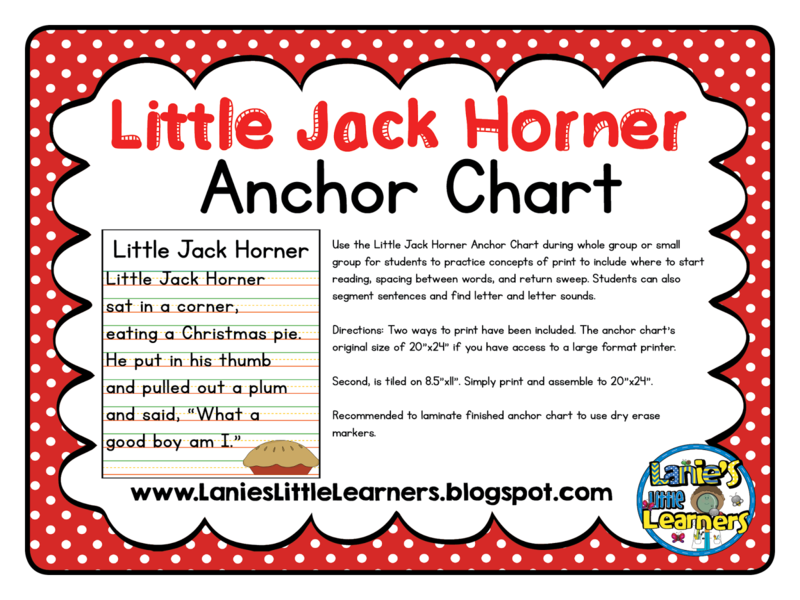 Recommended to laminate finished anchor chart to use dry erase markers.